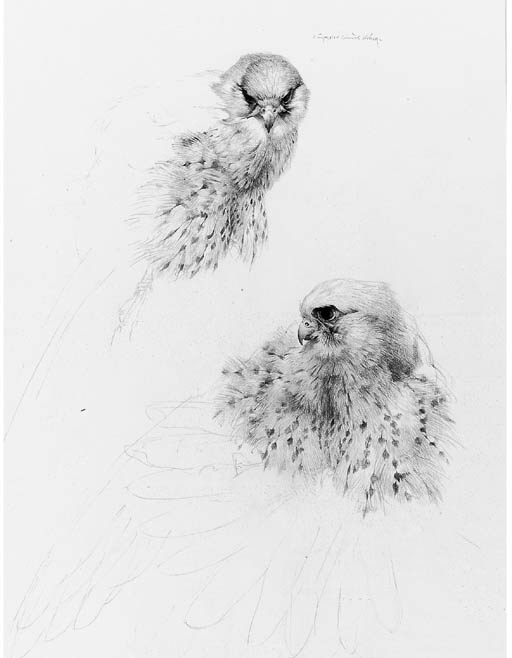 These birds have been identified as Gyr Falcon and not Kestrels as suggested in the catalogue. Born in New Zealand, this artist established himself as a painter of birds with his lively illustrations for The Reader's Digest Book of British Birds, published in 1969. He has since exhibited regularly in the United Kingdom, the United States, Australia and New Zealand.